The guttering system of your roof is one of the most essential elements of protection against weathering, and proper maintenance and repair will ensure its functionality and longevity. Do it yourself roof repair is a great way to take care of your gutters and down pipes, and isn't always complicated. However, roof repair DIY should be viewed as a temporary solution before calling a professional. In this case, Roof101 has an entire team of professionals waiting to assist you. Check to see that your gutters are not obstructed by leaves and debris, and remove any such material. Roof 101 recommends installing a gutter-guard to deflect leaves and debris, and thus prevent you from performing regular do it yourself roof repair. If your gutters sag, tighten the holders, and if necessary, replace them. If there are any leaks at the seams, use gutter sealant to close them up. Rust spots are signs of serious damage to your guttering system. It can be removed using a grinding stone, and replenished with several coats of gutter sealant. If the rust is extensive, it is worthwhile calling a Roof 101 expert to replace that section of the gutter. If you prefer DIY roof repair, then use a grinding stone to create centering holes in the old rivets of your gutter corners. Use a bit to drill them out, then remove them and clean away excess sealer with a high speed cutter. Drill rivet holes against old ones and position in the new rivets. Using a pop rivet tool, attach them into place. Apply gutter sealant to the joints. Metal roofing is available in a wide variety of materials, including steel, zinc, polymer, aluminum, copper and more. Each metal varies in its performance and aesthetic features, and is designed to fit different roofing styles. 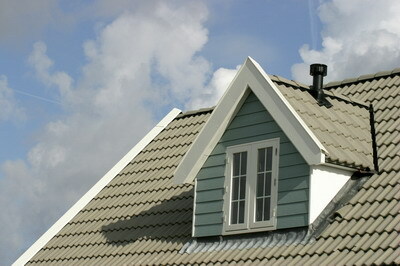 Hence it is important to know which metal is most suitable to your roof before installation. This guide is relevant for both aluminum and copper shingle installation. From residential to commercial roofing, we provide all roof installation and roof repair services for flat and sloped roofs.